I’m a sucker for a touching father/son moment in film. When done well, and particularly when dealing with adult relationships, a touching father/son scene can lead to some real “cat in the cradle” emotions. I don’t want to give too much away, but DANNY COLLINS falls solidly into that category. In the title role of Danny, Al Pacino’s character hopes to reconnect with his estranged son Tom, played by Bobby Cannavale. The exchange between father and son, results in some of the most touching and satisfying moments in the film, and the chemistry between Pacino and Cannavale left me wanting more. DANNY COLLINS has me remembering some of my favorite father/son moments in film, which I thought I’d share here. Now excuse me, I have to go call dad. 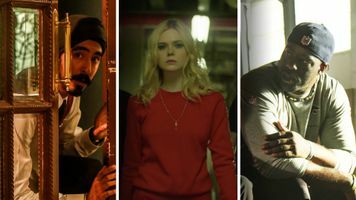 No surprise that Al Pacino is skilled at tapping into the father/son oeuvre, when you consider his performance as Michael Corleone, son to none other than The Godfather himself, Vito Corleone (Marlon Brando). This is the father/son relationship by which all others should be judged. 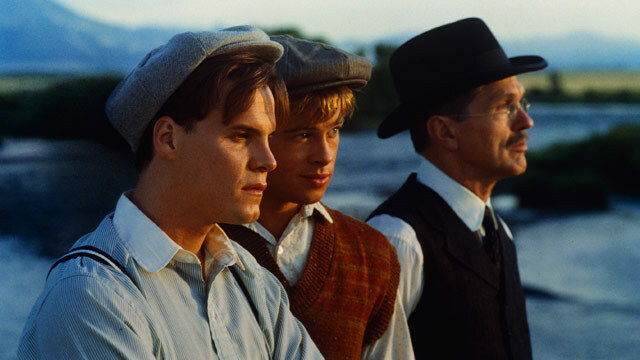 Vito has three sons, and his relationship with Michael in the earlier part of the film appears to be the most distant and impersonal. 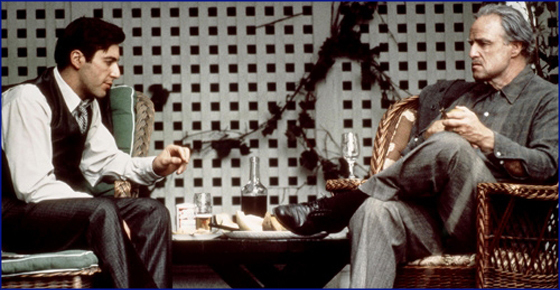 But what appears as stoic detachment between father and son is revealed as just the opposite when we see Michael's reaction to his father’s life being threatened, and through the tears of Vito Corleone when he realizes his carefully laid plans for his son's future, now lie in ruins. Relationships with our fathers have peaks and valleys. Years can go by having rote conversations over long-distance phone calls. Then one day we unexpectedly find ourselves knee deep in something real. 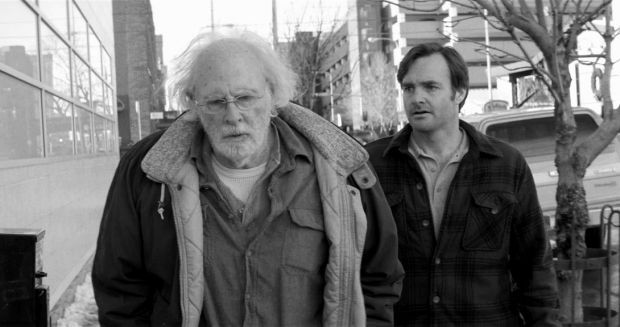 The portrayal of Woody and David (Bruce Dern and Will Forte) in Nebraska is one of the most realistic representations of how we navigate these moments with our fathers, dealing with new experiences, while maintaining our day to day humor and banter. Whether we are a millennial, a slacker, or a generation X’er, we all have one thing in common: none of us measure up to our fathers. 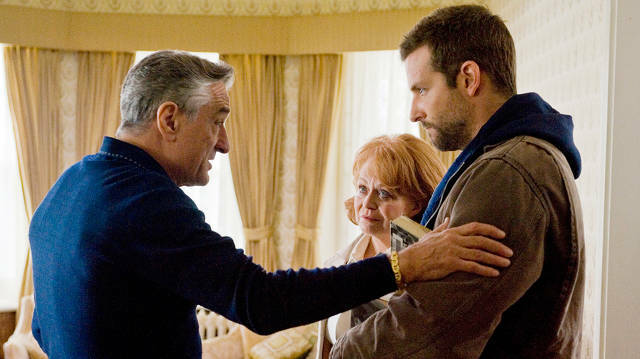 Silver Linings Playbook captured that feeling of ineptitude which so many of us share. 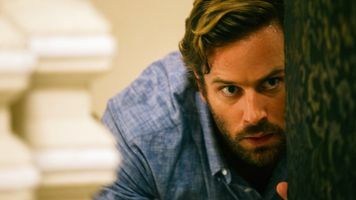 As Pat Jr., Bradley Cooper portrays how a son internalizes a father’s criticism and then struggles to find his own way. But what is truly touching is Robert DeNiro’s performance as Pat Sr. which reveals there was never any criticism to begin with, but rather a father’s love for his son and an instinct to protect him at all cost. 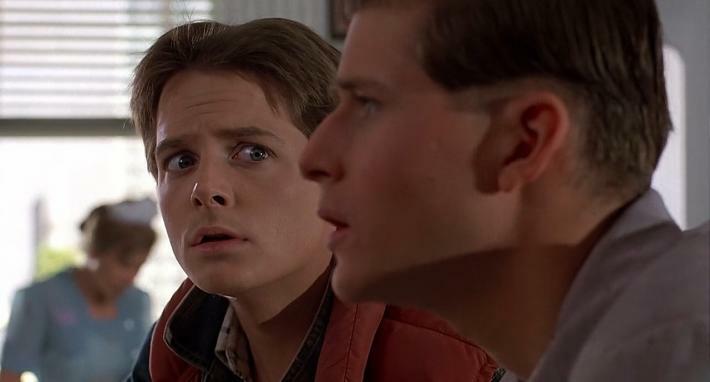 Much has been written about the Oedipal overtones in Back to the Future as Marty McFly (Michael J. Fox) tries desperately throughout the film to keep from macking out with his mom. But for my money, the most moving moment is at the end of the film when Marty’s father, George (as played by Crispin Glover) is revealed to be not quite the nerd that we met earlier in the film. Is that transformation due to Marty changing the past and altering his father’s life trajectory… or maybe, just perhaps, by spending some quality time together, Marty learns to emphasize with his father and sees him in a renewed, and more flattering perspective. 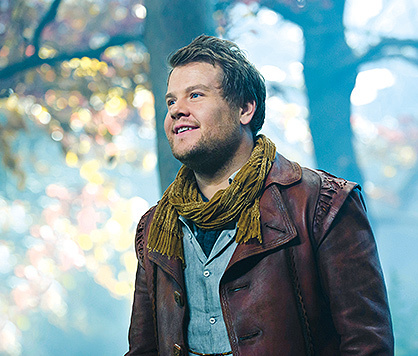 In both the musical and movie adaptations of Into The Woods, the Baker emerges as a pivotal character, and father/son themes run deep throughout the musical. The Baker, portrayed by James Corden in the movie adaptation, embodies both father and son, struggling to transition from child to adulthood, and wanting desperately to avoid the same mistakes as his dad? The Baker's journey suggests that only by forgiving the sins of our fathers will we find a happier ending. In A River Runs Through It, Tom Skerritt portrays the Reverand Maclean, the father to two sons 'Norman' and 'Paul', played by Craig Sheffer and Brad Pitt. Skerritt's portrayal of the stern father never ventures into abusive or cruel territory, yet the boys react differently to their father's dicipline and it shapes them into very different men. Maybe this serves as a reminder that we can only place so much blame onto our fathers, and that ultimately we are the masters of our own fate. 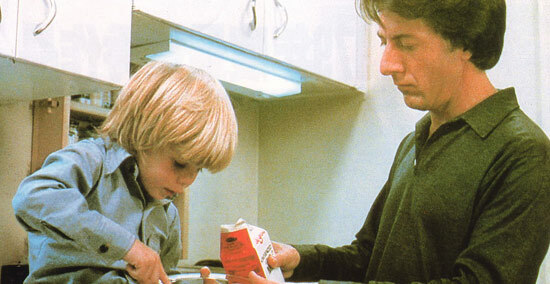 Who doesn’t remember the final scene between father and son in Kramer vs. Kramer, where they make french toast together, perfectly synchronized cooking. How far they have come when you consider their first attempt at breakfast which led to spilt milk and tears. What changed? Just their time together, a reminder that our relationships are only as rich as the time we invest in them. It’s inevitable that some of us will have strained relationships with our fathers, and drastically different world views or lifestyles. 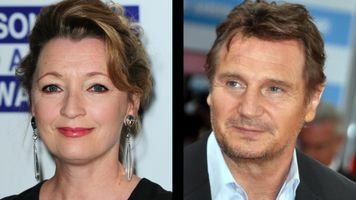 In Billy Elliot, as Billy (Played by the young Jamie Bell) is coming to terms with his own interests in ballet, his father (Gary Lewis) is dealing with financial and political hardships and in his distraction struggles to support or understand Billy's obscure interests. Ultimately, Billy Elliot stands as a model for how a father can set aside his own expectations, and accept his son for who he truly is. Those are some of my favorites Father/Son movies. Did I miss a good one? 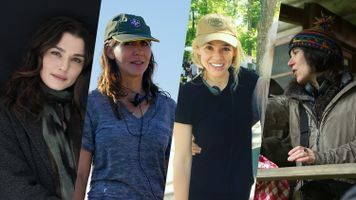 If so, tweet me your suggestions @BleeckerStFilms. And if you love Father & Son movies, don't miss DANNY COLLINS coming to theatres this March.